Learn more about getting sinus surgery in San Antonio and who’s a good candidate for this procedure. Are you living with chronic sinus infections in San Antonio, TX? If so, our otolaryngologist Dr. Christine Gilliam offers several treatment options to help you get your symptoms under control. Of course, if your symptoms don’t seem to change despite trying a variety of different nonsurgical treatments then it may be time to consider whether you could benefit from surgery. Learn more about sinus surgery and what it entails. What is involved in sinus surgery? In this day and age of advanced medical technology, our San Antonio ENT doctor is able to offer a minimally invasive endoscopic sinus surgery option to treat patients dealing with severe and chronic sinus infections. Endoscopic sinus surgery is less invasive, doesn’t require any cutting or removal of tissue and bone, and boasts a faster recovery time than traditional sinus surgery. 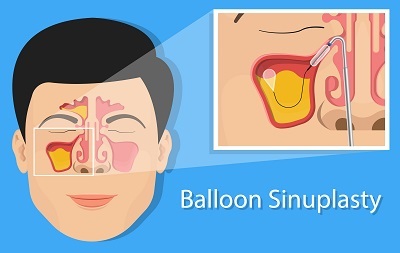 During endoscopic sinus surgery a thin flexible tube (an endoscope) sometimes with a deflated balloon at the end is guided through the nasal cavity. Once it is fully inserted, we will slowly inflate the balloon, which will open up the blocked nasal cavity and allow it to fully drain. Once the cavity is unblocked we can wash out the sinuses to remove the bacteria responsible for your infections before removing the endoscope. The length of your recovery will depend on several factors including your overall health and which type of sinus surgery you are getting. After all, some patients may need to undergo traditional sinus surgery instead of endoscopic surgery, which will have a longer recovery process. You should allow yourself a few days to recover before returning to work and normal activities. Patients who’ve undergone endoscopic sinus surgery can often return to work within 48-72 hours. Are there any side effects of sinus surgery? It is common for there to be some bleeding for a couple of days after endoscopic surgery. Since endoscopic surgery is only minimally invasive any swelling, discomfort or bleeding you experience will be very minor and will often go away with 2-3 days. We will provide you with thorough self-care instructions. Will surgery relieve my symptoms permanently? Endoscopic sinus surgery is extremely effective and research has even found that as many as 97 percent who underwent sinuplasty experienced a long-term improvement in their sinus symptoms. It is important to keep in mind that this surgery is not a cure-all. It is still possible for some patients to get sinus infections even after surgery, but the frequency and severity of your symptoms should be greatly reduced. Are you living with severe or persistent sinus issues? If your sinus problems are affecting your quality of life then it’s time to turn to Everyone’s ENT & Sinus Center in San Antonio, TX, to find out if endoscopic sinus surgery is right for you. Could Sinus Surgery Help You? Sinusitis is a very common condition that causes swelling and inflammation in the nasal cavity. Caused by the same virus as the common cold, mild to moderate cases of sinusitis can be painful and uncomfortable but are usually treatable with medication and non-surgical procedures. However when conservative treatments fail or are inadequate to treat severe and chronic cases of sinusitis, there are surgical options available to help open the nasal passages and relieve symptoms. Dr. Christine Gilliam, an ear, nose, and throat doctor and her team at Everyone's ENT and Sinus Center in San Antonio, TX, offer a number of surgical and non-surgical treatment options for sinus infections and other ear, nose, and throat illnesses and infections. Swelling and inflammation in the nasal cavity makes it difficult for the mucus to drain properly, causing pain, pressure, and infection in some cases. When breathing through the nose becomes difficult or impossible, people tend to breathe through the mouth which can cause irritation to the throat. When is Sinus Surgery Necessary? Surgery is usually reserved for cases where medication or other treatments have failed or stopped working, or if the sinusitis is caused by an obstruction like a tumor. How Does Sinus Surgery Work? There are a few options available depending on the cause and severity of your symptoms. The goal of sinus surgery is to open the obstructed sinus cavities to restore normal drainage of mucus and fluids. Endoscopic surgery is minimally invasive and allows the otolaryngologist to enter the nasal cavity to drain mucus buildup and keep it open after the procedure. An endoscope is a surgical instrument affixed with a light and camera to allow the use of imaging technology for more accurate and precise results, especially in delicate areas like the nasal cavity. Do you have allergies? These common conditions are reactions by your immune system to harmless substances, and they can make you miserable and even put your life at risk. 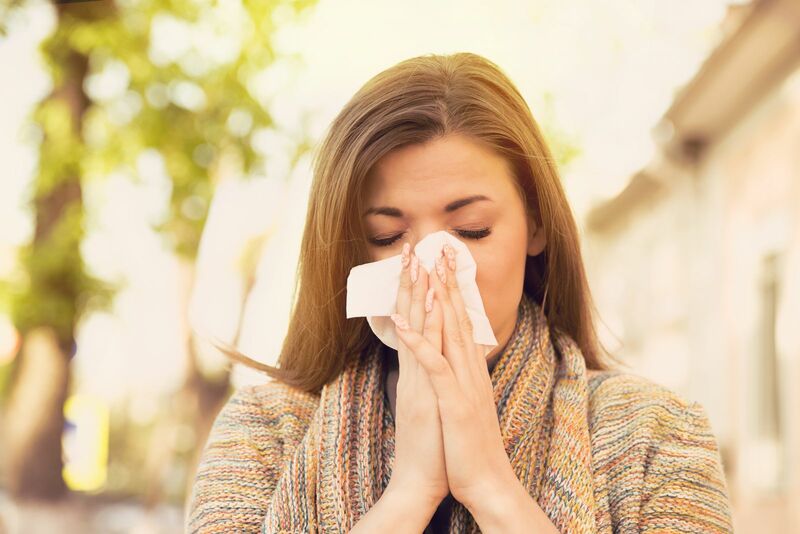 Led by Dr. Christine Gilliam, ENT & Sinus Center in San Antonio, TX, offers allergy testing and treatment—read below to learn if you are suffering from allergies and could benefit from the Center's services! Pollen, a plant released spore, is one of the most common causes of allergies in America. The symptoms of a pollen allergy can include itchy, red, and watery eyes, coughing, runny nose, nasal congestion, sneezing, itchy throat, and wheezing. If you have experienced an allergic reaction after taking medication, you may have a drug allergy. In many cases, the allergic reaction is mild, though severe cases can lead to anaphylactic shock and may be life-threatening. A severe, widespread allergic reaction is called anaphylaxis, and it may affect your skin, airways, and organs. Symptoms of a drug allergy can include rash, hives, fever, itching, runny nose, watery eyes, and swelling. Food allergies affect both children and adults. Symptoms of a food allergy can include hives, wheezing, dizziness, digestive problems, or swelling of the lips, tongue, face, or throat. Severe reactions can be life-threatening. A skin allergy occurs when your skin touches something that your immune system believes is harmful—even though it isn't. Causes can include contact with poison ivy, cosmetics, latex, perfume, dyes, topical medications, detergent, and some metals. If you have a skin allergy, your skin may turn rough, dry, and scaly, as well as develop a reddish color, swell into hives, ooze, or crack as a result of irritation. One of the most common indoor allergens, this allergy is caused by dust mites, which are tiny bugs that feed off house dust and the moisture in the air. Accordingly, people with dust allergies often suffer the most inside their homes. The symptoms of a dust allergy can include sneezing, watery eyes, coughing, wheezing, runny nose, shortness of breath, and tightness in the chest. Do pet allergies have you sneezing again? A pet allergy is an abnormal immune reaction to proteins in an animal's skin cells, saliva, or urine. Pet allergies can run in families and occur more often in people with asthma. The symptoms of a pet allergy can include wheezing, coughing, shortness of breath, nasal congestion, watery eyes, itchy throat, and sneezing. Seeking Relief? Call our San Antonio Office Today! Allergies can interfere with your day-to-day activities and decrease the quality of your life. Get relief today with one of San Antonio's top ENT doctors. Call Everyone's ENT & Sinus Center at (210) 647-3838 today to schedule an appointment with Dr. Christine Gilliam. We want you to live your best possible life! Are Your Allergy Symptoms out of Control? If So, We Can Help. While some people may experience the occasional allergy flare-up during the spring and summer months, there are other people out there that deal with such recurrent and debilitating allergy symptoms that it can be difficult to even begin addressing the problem. If you’ve tried over-the-counter allergy medications and haven’t experienced relief, it might just be the perfect time to visit our otolaryngologist, Dr. Christine Gilliam, at Everyone’s ENT & Sinus Center in San Antonio, TX. Allergy symptoms can range from mild to debilitating with some people finding that their symptoms are so bad that they either miss days of work or that their productivity suffers as a result. 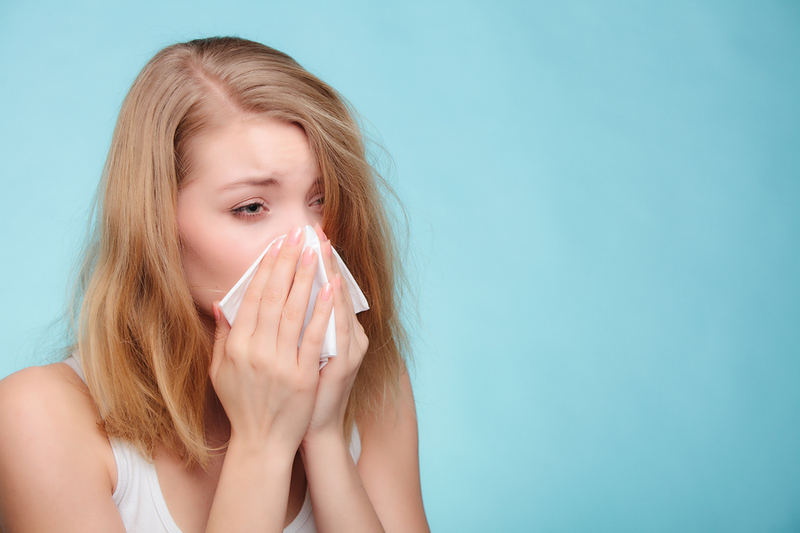 If this sounds like you, then now is the perfect time to visit an ENT doctor in San Antonio who can create an effective treatment plan to get your allergies under control. If over-the-counter medications aren’t working for you, an allergist can prescribe a stronger medication to help. The type of medication or medications you’re prescribed will depend on the type of symptoms you are experiencing. For example, if you experience chronic nasal congestion or a stuffy nose, an ENT specialist may prescribe a nasal spray that contains antihistamines or steroids. Allergy medications come in many forms from sprays and gels to oral medications and even shots. There are a few clear indications that your child may have an ear infection, and they shouldn’t be ignored. An urgent exam and treatment are recommended if there are any signs of concern. These infections are very common in very young children because of their yet-to-be-fully-developed ears and exposure to harmful bacteria. Find out more about common ear infections in children and how they’ll be treated by a San Antonio, TX, pediatric ENT at Everyone's ENT & Sinus Center. Approximately three out of four children are diagnosed with ear infections each year according to the National Institute on Deafness and Other Communication Disorders, so it is quite common. It is usually caused by bad bacteria invading the inner tissues of the ear, making it painful and irritated. Acute otitis media is the typical type of ear infection that children are diagnosed with. Infected fluid fills the area behind the eardrum, causing earache, redness, and fever. Serous otitis media is when non-infected fluid is in the ear. Chronic otitis media is a recurrent condition that could affect a child’s ability to fight off infections. 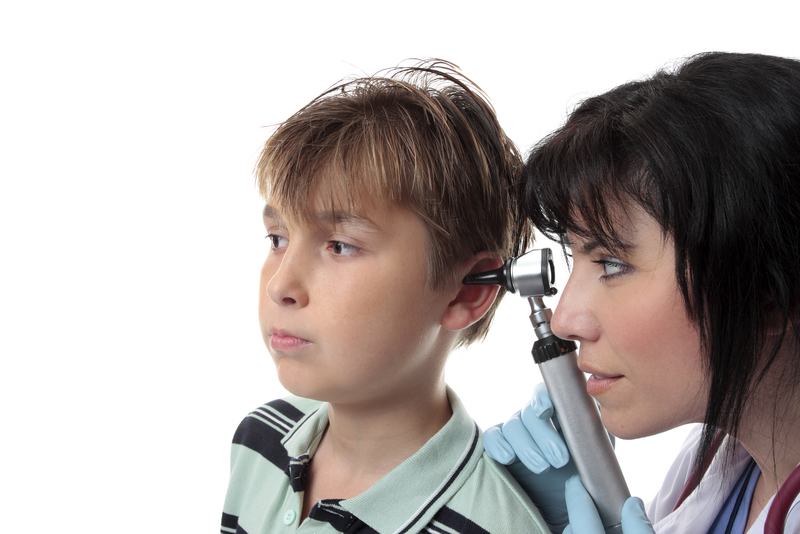 Your San Antonio pediatric ENT will check your child's ear for signs of fluid and evaluate his or her hearing ability. It’s likely that an ear infection in a child is due to allergies, exposure to cigarette smoke, or simply being around another infected child. Some ear problems may be caused by a foreign object that has been lodged inside of the ear canal. Undiagnosed and untreated, an ear infection presents a number of risks. Fluid in the ear may reduce the child’s ability to hear, which can affect his or her performance in school. A chronic case could cause permanent hearing loss in serious cases. In some cases, the best treatment is to have the infection officially diagnosed by your San Antonio pediatric ENT and then monitor the case, allowing time for it to heal on its own. Some ear infections clear up on their own after a while. In other cases, a course of antibiotic medicine is required. Pressure Equalization (PE) tubes or ear tube surgery may be necessary in chronic cases. If your doctor discovers an object inside of the ear or trapped water after swimming, it will be safely removed in the office. If you’re concerned that your child is complaining of ear discomfort, or struggling to hear normal sounds, don’t hesitate to visit Dr. Christine Gilliam, a pediatric ENT at Everyone's ENT & Sinus Center in San Antonio, TX, for a checkup. Call (210) 647-3838 today to schedule your appointment.